The Green LL Memorial Day Slugfest is a Little League rules based tournament conducted across 4 complexes in the City of Green.  Registered teams are guaranteed a minimum of 3 games (2 pool play/seeding games and single elimination tournament game(s)). The tournament will be held May 24 - May 27 2019. This year’s Divisions will be: 8u Coach Pitch, 9u Minors, 10u Minors, 11u Majors, 12u Majors, Intermediate 50/70 (ages 11 – 13), 13u Juniors, and 14u Seniors. Players’ eligibility is based on age as of April 30, 2019. Registration payment includes game balls, umpires and medals (Division Champions and Runner-ups). The registration fee for 2019 is $299 through January 31, 2019, $349 from February 1, 2019 through April 28, 2019, and $399 after April 18, 2019. Payment is due at time of registration. See rules for refund policy. The entire tournament will be run online using Sports Illustrated Tourney Machine tournament management platform. You will receive a link to download the app for your smartphone after registration. All parents/participants will have access to the app for tournament communication and standings. $299 through 1/31/19; $349 from 2/1/19-4/28/19; $399 after 4/28/19. Weather cancellation: 0 games played = $199; 1 game played = $149; 2 games played = $99 (Tournament considered complete). Proceeds go to Green Little League. This is a non-sanctioned Little League Rules based tournament: Little League rules, except where noted. Teams are guaranteed 3 games (2 pooling and 1 bracket) – see refund rules in the event of cancellation. Birth date cut off is players’ age on 4/30/19. A copy of birth certificate required in the event of protest. If a manger cannot produce at the time of the protest, his/her team will forfeit the game and player will remain ineligible until he/she can produce. Illegible copies are not acceptable. Minimum playing time rules in effect (OFFENSE & DEFENSE RULES on page 2 & 3). Little League bat rules, no exceptions (BAT RULES on page 2). Minimum of 8 players and maximum of 15 per team. Players may only be active on one roster. Teams must provide their own insurance. All teams must be ready to begin play 15 minutes after end of their previous game. A player may enter game after first pitch but must be added to the bottom of the batting order. Warm ups are permitted in the outfield and foul territory of the infield only. Home team assigned by Tourney Machine (random/coin flip equivalent for pool play, highest seed for bracket play). Home team is official scorer (score and innings pitched) but score book must be reconciled with visiting team each inning. Winning team responsible for recording final score in Tourney Machine and texting the official Tournament Score Recorder within 15 minutes of the end of the game. In case of rain shortened game, the game will be deemed official after 2.5 innings of play if home team is winning and 3 innings if the visiting team is winning. Ties are possible in pool play in this scenario. Sportsmanship: Any player, coach or fan ejected from the game must leave the facility and are NOT permitted to be present at the team’s next game. This is non-negotiable. If player, coach or fan is found on premises after being ejected, then that team will be forced to forfeit that game. Please help us keep the ballpark clean and pick up after yourselves and players. No entry or parking fees. Bracket play is single elimination. Two pooling games will be played and bracket seeding will be determined by (in order): 1.) Win/loss record, 2.) Head to head, 3.) Highest run differential (10 runs per game max) and 4.) Coin flip. NOTE: In the event of weather shortened pool play, the Tournament Director reserves the right to use a reasonable method to assign bracket seeding. Generally this will be based on each teams’ first pool play game or coin flip if each team in Division has not played one game. Pool play inning and time limits may also be adjusted. Tie breaker/Shootout Rules: Visiting team starts with the player who was their last out (previous inning) on 2nd base. Each batter gets one pitch as though the 7th inning pitch in regulation. Play continues until 3 outs. Home team then bats with same rules. Game continues until inning ends with a winner. Time limit: Innings may finish after time limit, but no new inning can start after. Shootout Rules: Visiting team starts with the player who was their last out (previous inning) on 2nd base. Each batter steps to the plate with a 3-2 count. Play continues until 3 outs. Home team then bats with same rules. Game continues until inning ends with a winner. Non-compliant bats should not be in the dugout during games (i.e. players should leave at home). 8UCP through 12U bats must have USA bat standard logo. Wooden bats that comply with Little League rules are permitted. 50/70 Intermediate, 13U and 14U bats must have either the USA bat standard logo or BBCOR certified logo. Wooden bats that comply with Little League rules are permitted. Bat rules will be enforced by Umpires and Tournament Officials. Coaches may protest to Umpire. Non-compliant bats must be removed from the dugout. Penalty (Rule 6.06(d)): batter is out when they enter batter’s box with an illegal bat; first violation= lose one eligible adult base coach and second violation= manager ejected. Third violation (tournament rule) = team forfeits game. All kids with a bat must have a helmet on. Base runners can score on passed ball/wild pitch. Courtesy runner for catcher is allowed with 2 outs. Runner must be the player who made the last out. Continuous batting order: Every player present at the game must bat in the batting order. Late players must be added to the end of the batting order. Injured player: If a player is injured and unable to bat the remainder of the game, then the player will be skipped in the batting order without being consider an out. Injured player may not play in the field. Mercy rule: 15 runs after 3 innings; 12 runs after 4 innings; 10 runs after 5 innings. Run limit per inning = 7, except the last inning which is unlimited. One pitch in an inning = 1 inning pitched (no 1/3rd innings). Pitcher must be removed if he hits 3 batters. Manager/coach can visit the mound 1 time per inning. 2nd visit in an inning = pitcher must be removed. Manager/coach must initial opposing team’s pitcher’s log – which must contain pitcher name and number of innings pitched. Shootout does count as innings pitched.